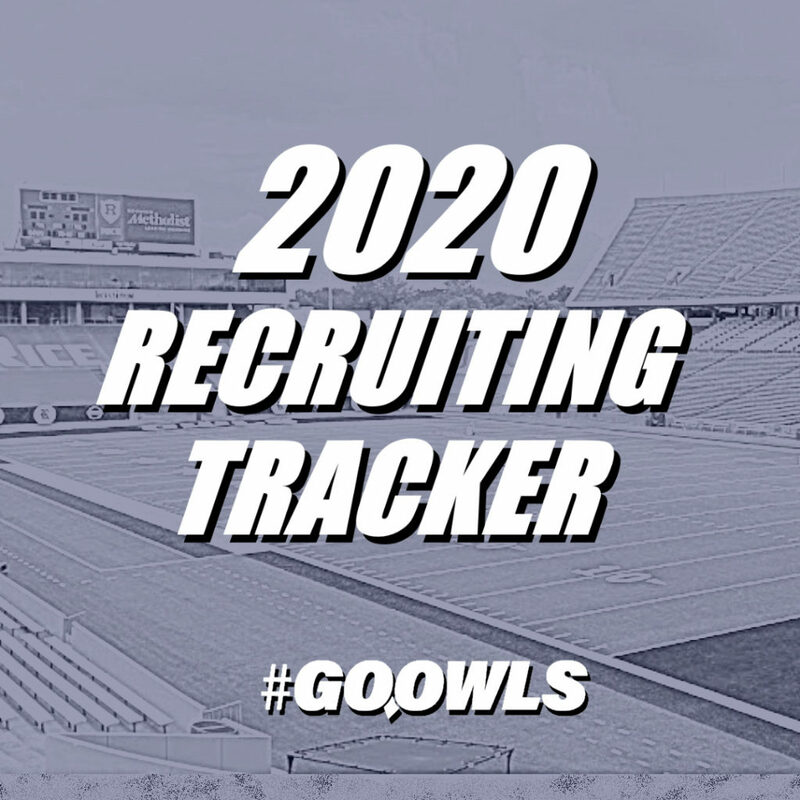 The 2020 Rice football recruiting class is picking up steam and the Owls might not be done adding to their numbers. Here are a few names to know. It’s been a busy few weeks for the Rice football recruiting staff. Most notably was the hiring of former Houston assistant Alex Bown as the Owls’ Director of Recruiting and the promotion of James Burnett. The staff is already making waves, landing Fort Bend athlete Kobie Campbell this week as well as making significant headway on a few other key targets. Here are some names to keep a close eye on this spring. The race is heating up for Tomball Memorial wideout Logan Kyle. All reports from his most recent visit to campus over the weekend were positive and there’s a belief the end could be in sight for his recruitment. At this point, the Rice and Vanderbilt lead the pack and the Owls feel good about their chances. Rice finds themselves in a battle for another prized weekend visitor, too. Out of state tight end target Sage Ennis said his experience at Junior Day “couldn’t have went any better.” Barring an offer from in-town Florida State at some point down the road, Rice is sitting in good position for his commitment. Memphis is the key competitor is his recruitment. 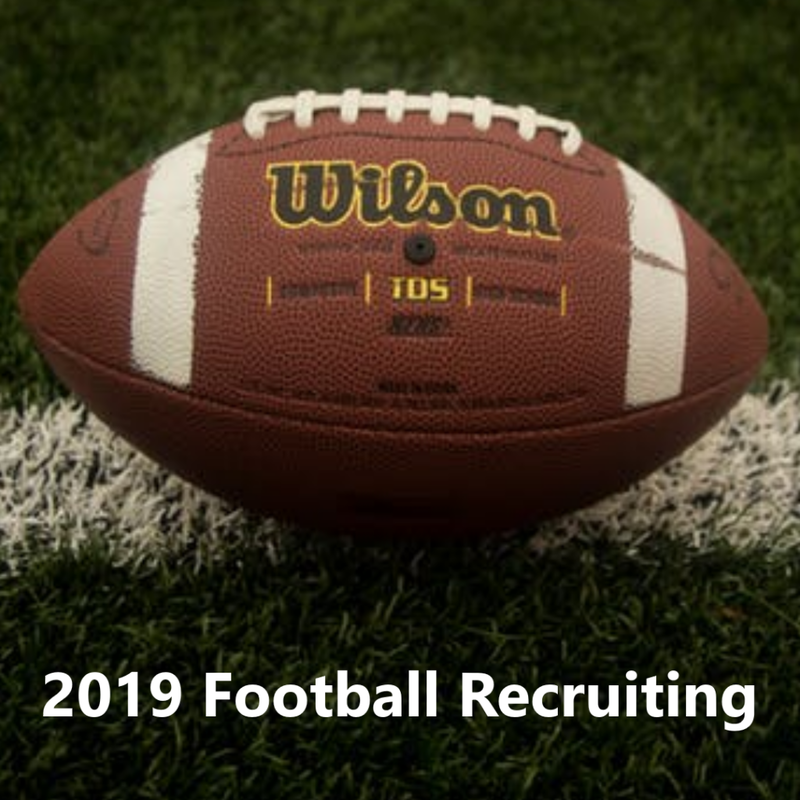 Rice has two offensive linemen in the 2020 haul already and will look to add at least a few more before the class is complete. Three teammates from the same high school are drawing the Owls attention, all of which have been on campus in the last few weeks. Hibbard made his pledge over the weekend and the other two are trending in the right direction. The Noah Teliancich commitment to Lousiana came a bit out of left field. He had a great time at the visit and was in communication with those on the staff on his journey home. Less than 24 hours later he’d committed elsewhere. The motivation on his end is uncertain, but the abruptness of the decision suggests Rice could stick around if they choose to do so. Rice baseball took a midweek contest with the Texas Longhorns down to the wire but couldn’t find the clutch hit, falling 3-1. Another tough midweek test went against Rice as the Owls dropped a close one to Texas in Austin on Tuesday evening. The win gave Texas a sweep of the season series with Rice in their final scheduled meeting of the season. A third bout between the two Texas teams would require both teams to make the postseason. Here are a few things to take away from the defeat. In a rematch of an 11-4 February game at Reckling Park, pitching proved to be the deciding factor even though each staff was stretched thin. Rice used six arms; Texas threw five. None allowed more than one run and only the starters (Kel Bordwine for Rice and Ty Madden for Texas) allowed more than two hits. The same Rice bullpen which was beaten up the first time around proved much more capable in their encore performance. After falling to FIU over the weekend, Coach Matt Bragga said he had five relievers he felt he could trust to produce consistently. That number could be growing. Drake Greenwood allowed five runs in the first game with the Longhorns, but worked a scoreless inning on five pitches on Tuesday. Dalton Wood had a scoreless frame while Blair Lewis pumped strikes, allowing a single earned run in two innings. The pen isn’t perfect, but this was a step in the right direction. Collins was hit on a ricochet in the series finale against FIU. He stayed in the game to catch, but was removed in the ninth inning without swinging the bat following the injury. Brandt Frazier suited up behind the plate against Texas. He’s hitting .152 on the season. Collins has a .267 average with a .408 on base percentage, leading the team with 27 walks. The advantage he provides at the plate and behind hit is significant. Bragga has yet to give an indication on when Collins will return to the lineup. The longer he’s out, the larger the problem. He’s one of the few position players Rice can ill afford to lose for any meaningful amount of time. One loss has led to two for Rice too many times this season. In games following a loss Rice is 7-13, turning a single deficit into a losing streak four times in eight opportunities. The Owls have had losing streaks of 5, 2, and 7 and are in the midst of a three-game skid. Conversely, they’ve won more than three games in a row once this year. Rice has always had some sort of answer to a bad week, but the margin for error has shrunk as the season grows older and older. Rice is seven games under .500 and six games back in the CUSA standings. If they’re going to rally, there’s no better time than the present. The 2020 Rice football recruiting class continues to add weapons to their arsenal, this time with the commitment of do-it-all athlete Kobie Campbell. Campbell enjoyed his experience on campus on Junior Day this spring and came away with nothing but positive comments regarding the program and the staff. Not long afterward he returned to campus to observe spring practice and make his pledge, committing to play his college football at Rice in 2020. Rice was the first D1 program to offer Missouri City athlete Kobie Campbell, securing his commitment in the span of a few weeks from the initial offer. The expedited recruiting process reflects how focused the staff was on landing Campbell and how much Campbell bought into the trajectory of the program. He joins an arsenal of talent which has only continued to grow. Prior to Campbell coming on board, an impressive succession of recruiting wins already had Rice football at four commitments. Campbell raises that tally to five — Rice didn’t have their first commitment last year until the summer months began. The hot start has continued from March into April with more positive news likely on the horizon. Campbell played just about everywhere in high school, but Rice intends to play him at running back. The 5-foot-8, 160-pound ball carrier has burst, quickness, and an elusiveness which leaves defenders flat-footed in his dust. His time spent in the secondary gave him a fearlessness at the point of attack and he’s more than powerful enough to run through tackles. He’s a fantastic addition to an already strong class. The Rice football offense had their best offensive showing of the spring, capping off Monday’s practice with a near-perfect redzone performance. Touchdown. Touchdown. Touchdown. The Rice offense had started to forget what the endzone felt like after a dominant start to the spring by the defensive unit. The offense managed a single field goal in their scrimmage on Saturday, failing to reach the endzone at all. They made up for their absence then, and the rest of the spring, with an impressive showing during Monday’s practice. Bradley Rozner broke a few ankles, carving up the secondary on his way to six. Aaron Cephus high pointed some passes in the endzone. Ari Broussard was almost impossible to bring down. Evan Marshman took a keeper to the pylon. And all of that happened in the span of 20 minutes. Breakthrough was coming, it was only a matter of time. Finally, something clicked. Cephus called it “a thin line between regular and great” which the offense had surpassed. There was no secret weapon, rather it was the culmination of weeks of learning and practice finally coming together at once. A slowed down game plus, as Cephus called it, “a lot of nastiness and grit”, gave the entire offense a much-needed confidence boost. 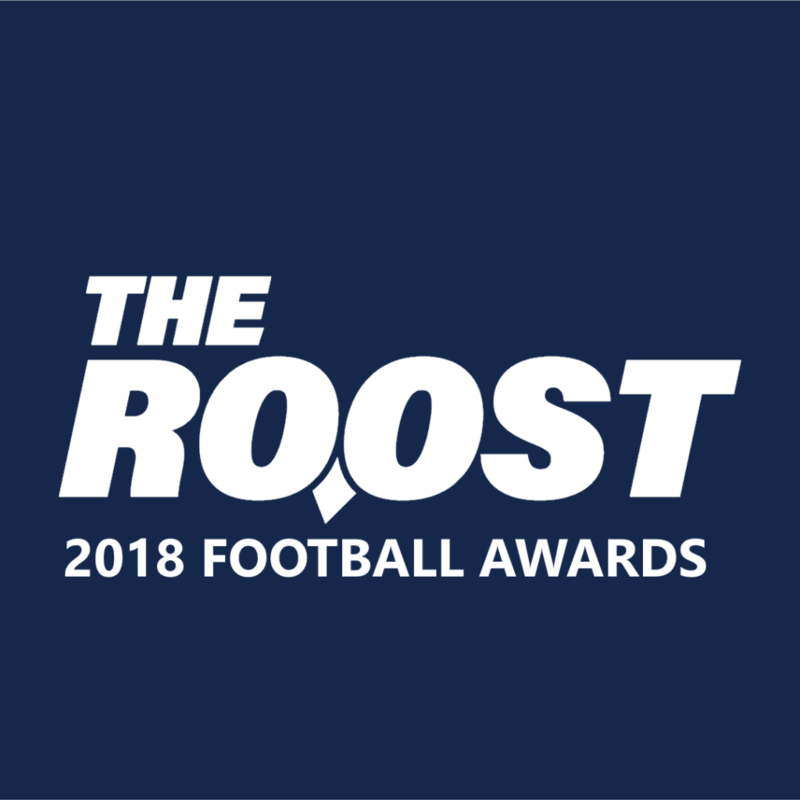 Mike Bloomgren called the sudden onslaught of offense “the spark” that “lit a fire”, setting up a battle between both sides of the ball on Thursday. That will be the last true practice before Rice holds their spring game on Saturday. Several alumni and letterman will be in attendance then, some of which have already paid visits this spring. Sam Pierce stopped in to check out practice on Monday. Peter Godber, Calvin Anderson, Jack Fox and others have been by over the past week. Rice baseball looked to have settled into some sort of rhythm, but a bad day of baseball led to a dropped double header and a series loss to FIU. Winners of four straight entering the weekend, Rice was looking to reinsert themselves into the thick of the conference race with a strong showing against FIU over the weekend. Things got off to a strong start, but Rice struggled in a Saturday double header, dropping the series to an FIU team which had been scuttling prior to their trip to Texas. The Owls’ record moves to 14-20 following the 1-2 weekend. Here’s a rundown of each result and three key things we learned about this team over against FIU. It wasn’t a perfect night from Matt Canterino, but the Owls’ ace delivered his first complete game performance of his career in a winning effort to kick the series off on the right foot. Canterino had one rough inning, allowing four runs in the second, before settling down for the remainder of the contest. The Rice offense bookended the game with big innings. Andrew Dunlap started things off with a two run home run in the first, his seventh long ball of the season. Rice scratched across one more run over the next five innings before getting the offense up and running once more in the seventh. Trailing 5-3, Rice battled back with five runs in their final two trips to the plate. Bradley Gneiting picked up an RBI single in each inning. Trei Cruz and Braden Comeaux picked up RBI, too. The rally marked the first time this season Rice had won a game when trailing after six innings, breaking an 0-13 stretch. It looked like the two teams were going to duke it out after Rice answered a 4-0 start by FIU with five runs of their own in the third inning. After a Comeaux triple scored two, Gneiting followed with an RBI single to bring Rice within one. Rice tied the game and took the lead on a pair of one-out singles by Dunlap and Justin Collins. From that point onward it was all FIU. In relief of Evan Kravetz, who allowed five earned runs in 4.2 innings, Garrett Gayle, Jackson Tyner and Matt Deskins all allowed runs with Tyner allowing three to score while recording only one out. Rice snuck back two runs after falling behind 13-5, but was unable to do enough to climb out of the sizable hole. The bats cooled down for both sides as Jackson Parthasarathy and Franco Aleman strung together two of the better outings by any of the pitchers who took the mound this weekend. A two run home run by Jose Garcia put FIU in the lead in the second as the Rice batters struggled to string hits together. Parthasarathy earned the win in long relief of Addison Moss last Saturday, earning a spot back in the rotation against FIU. His strong start gave Rice chances to get back into the game, holding the visitors to five hits and three runs, striking out three. Rice would go to Aleman at the end of his outing, forcing him from the game after two runs in the eighth. That would be it for Rice, who dropped the game and the series in rather disappointing fashion. There were moments this season where it felt like Rice needed all the stars to align for their offense to be successful over the course of nine full innings. The Owls scored 13 runs in three games against FAU and 13 in three games against UTSA. A 3-1 victory in the series opener against Old Dominion gave way to a 25 run finish over the final two games, a pace Rice maintained into the following weekend. Rice managed 17 runs against FIU, the collection of which came from a variety of sources. Comeaux and Dunlap had big weekends, but they’re batting at the top half of the order precisely for that reason. It was players like Aaron Beaulaurier, Dominic Cox, and Cade Edwards who’ve had strong at bats as well. Those parts stumbled on Saturday. Head coach Matt Bragga was noticeably frustrated with his team’s performance, “There is no magic answer,” he said, “If there was I would be doing it and we would be [winning].” Outside of the series finale, the offense has been moving in the right direction. Next week will be another test of the Owls’ ability to rebound. Canterino, Moss, Parthasarathy and Moss have what it takes to be weekend starters in Conference USA. It’s not reasonable to expect scoreless outings from whichever of the three are named to the weekend rotation each time. With that said, Rice hasn’t had a weekend where all three starters through well since they won two of three in the Shriner’s College Classic. The math doesn’t add up. “When you pitch, you have a chance,” Bragga recounted. He was right. The result of a three-run game can be swung in a single inning. Too often things have been swinging the wrong for this rotation. Rice has too much talent on the mound to be digging out of at least one sizable hole every weekend. This unit should regularly be throwing at least five innings without leaving the game early with a large crooked number on the board against them. The upside here is they’re capable of flipping the switch. The downside is they’re running out of weekends to put it all together. The Owls are within striking distance of .500 in conference play and have wins over in-state powerhouses Baylor and TCU. They have proof they’re capable of going toe-to-toe with most anyone, but the bigger number in the loss column speaks to the inconsistency with which they’ve struggled with all year. Rice has one of the better arms in the league with a host of guys who could be great on a given night. The lineup is coming together and the fielding has improved by leaps and bounds. They’ll only be able to capitalize on those strengths by putting together more complete games in April and May.